Though hovercrafts have a long and deeply rooted history, the public at large still often overlooks them. Yet these incredible machines have a wide variety of functions including rescue, military, and commercial applications. And that’s not to mention the simple majesty of hovering for personal recreation, an experience everyone should enjoy during their lifetimes. 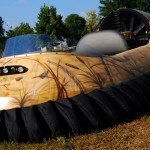 Neoteric HoverCraft Inc. is known throughout the industry as one of the most experienced hovercraft designers in the world. 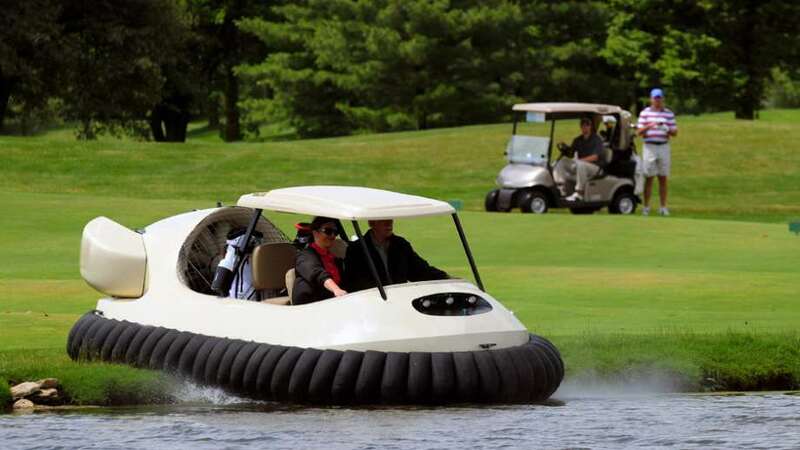 In fact, the company essentially established the light hovercraft industry. 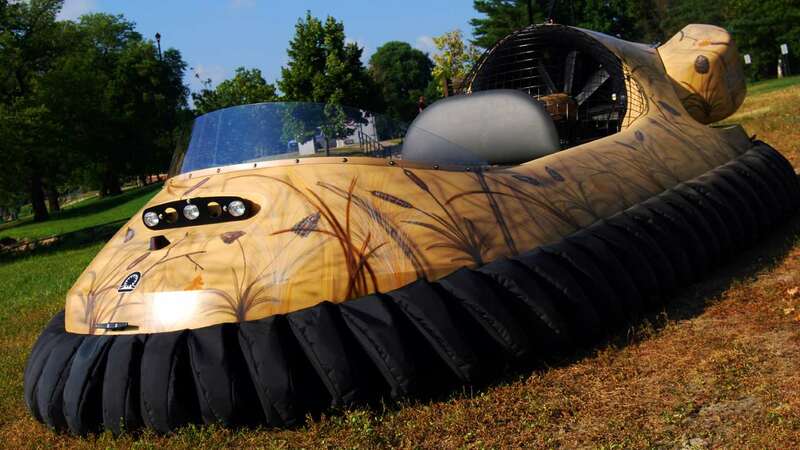 Their line of light hovercraft are now known as the industry standard for rescue, military, commercial, and personal recreation applications. Chris Fitzgerald, President of Neoteric HoverCraft Inc, has long been fascinated with hovering. His interest with the craft began in 1959 while watching television coverage of the British Saunders Roe Nautical One (SRN1) hovercraft crossing the English Channel. Then the youngest member of the Australian Experimental Aircraft Association, with a passion for mechanics and airplanes, Fitzgerald realized that hovercrafts offered a much safer and far more affordable alternative to airplane flight. He soon set about to develop a hovercraft that was a practical size for the pilot and perhaps a handful of passengers. 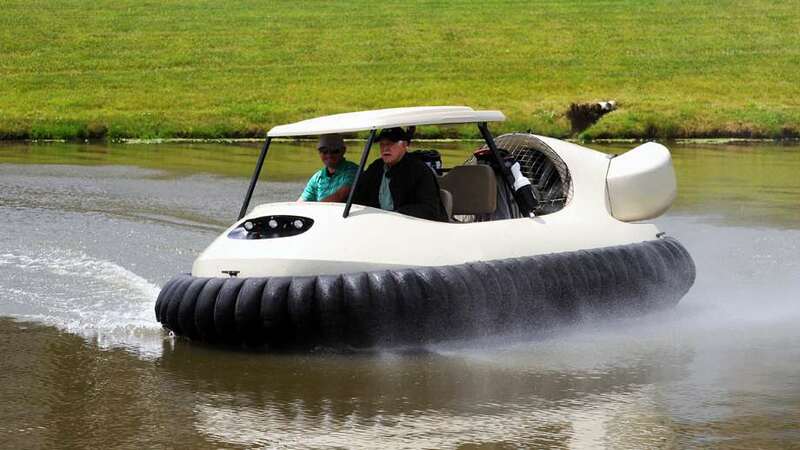 The result of his enthusiasm is Neoteric HoverCraft Inc., a company at the top of the industry since it was founded in 1960. 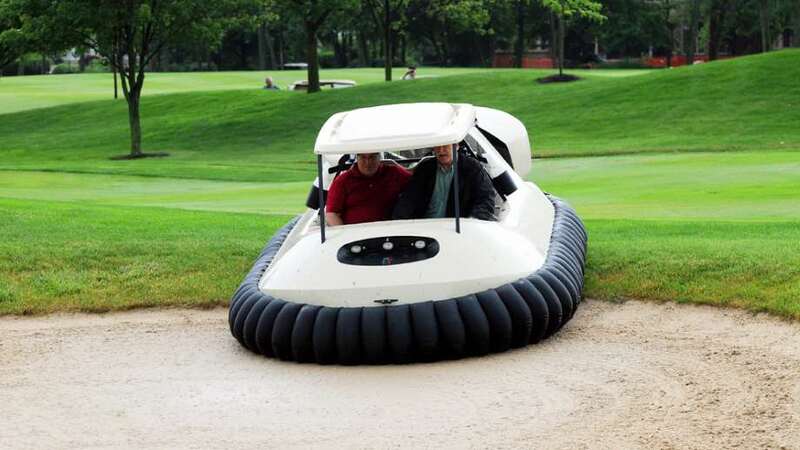 With clientele spanning over 50 countries, Neoteric is undoubtedly the worldwide leader in hovercraft design. Top features that set the company apart include their innovative reverse thrust braking system (making the Neoteric Hovertrek the only hovercraft with effective brakes) and their Hovercraft Pilot Training program (offered free to each customer with purchase). The applications for hovercrafts are nearly limitless. Although they are often seen as a somewhat bizarre and mysterious mode of transportation, they are conceptually quite simple. And it is largely this simplicity itself that makes them so effective for their various rescue, military, and commercial uses. 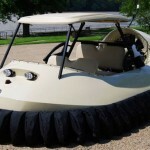 Supported by a cushion of air, the hovercraft is an amphibious member of the ACV (air cushion vehicle) family. Indeed, the dynamics of hovercraft design are more closely related to aircraft than boats or automobiles. The cushion of air is forced under the vehicle by powerful fans causing it to rise or lift anywhere from 6” to 108” off the surface it is traveling over. Thrust is generated by a separate engine from the fan and propels the hovercraft forward. A system of rudders controlled by handlebars allows for safe steering. 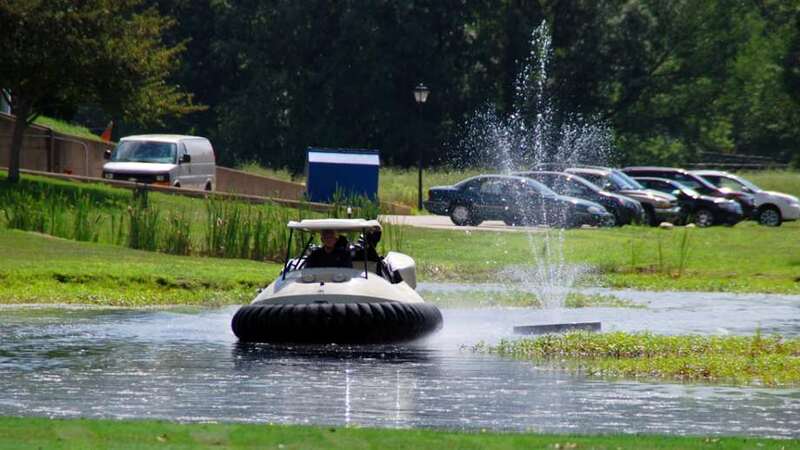 More than 40 years of research and development goes into each Neoteric HoverCraft. The Hovertrek, in particular, incorporates unsurpassed engineering and an award-winning design as the only hovercraft in the world with effective brakes. It is also the lightest and quietest machine in the industry with outstanding speed, maneuverability, and stability. 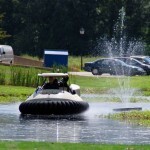 Those interested in purchasing a hovercraft from Neoteric have numerous options. Their products come in a number of different models and versions. Furthermore, numerous features can be added and subtracted so you can design the perfect vehicle that meets your exact specifications. There are even Partially Assembled Hovercraft Kits for those that are interested in building their own hovercrafts. 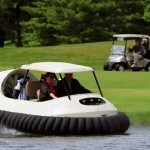 Is a Neoteric HoverCraft for You? 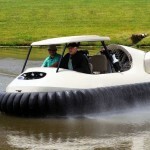 It doesn’t get any better than Neoteric in the hovercraft industry. Organizations that swear by their products include the U.S. Border Patrol, Department of Homeland Security, U.S. Air Force, U.S. Army Corps of Engineers, the National Parks Service, and Sheriff, Police, and Fire Departments worldwide. If Neoteric is good enough for these top organizations, it is good enough or you. 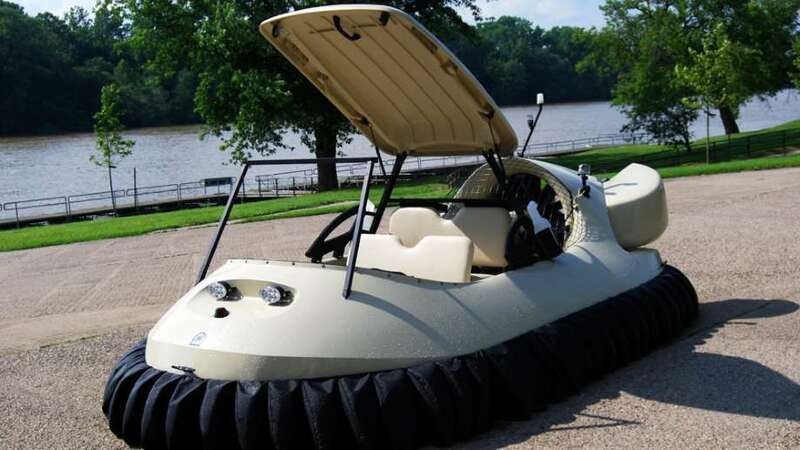 No matter your intended use, whether it is commercial or recreational, Neoteric is committed to customizing a hovercraft to perfectly suit your needs. A lifetime guarantee and free pilot training ensure that you aren’t just a customer of Neoteric – you’re a partner. Hi. Welcome to ToysForBigBoys.com. My name is Josh, your product specialist, and today we’re talking about Neoteric Hovercraft. 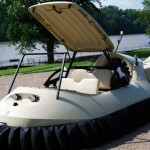 Now Neoteric Hovercraft is actually the world’s original and most experienced light hovercraft manufacturers. They’re actually recognized as setting the standard, the industry standard for recreational, as well as professional, and rescue hovercrafts. When the U.S. coastguards surveyed a list of their hovercraft manufacturers, they found that the most of them lack experienced engineers. And Neoteric’s team was actually founded by engineers, which allows them to consistently produce innovative products and machines. 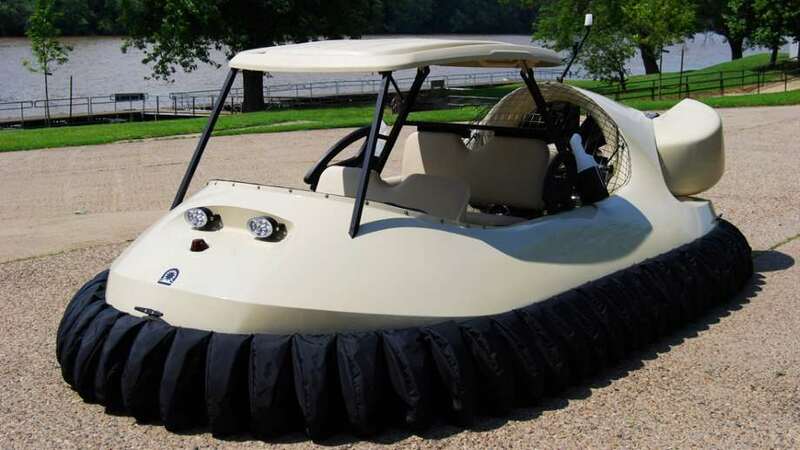 That’s what sets them apart from the other hovercraft manufacturers. Now, their Hovertrek model’s actually the only production model that comes in a do-it-yourself form that’s partially assembled. And that saves you 25% of the cost of a normal fully assembled hovercraft. It also gives you the excitement and experience of building your own hovercraft, which makes for a great family project. Not to mention it is unsurpassed in performance with a patented reverse thrust system, which provides superior cushion and control, which is absolutely necessary when traveling on things like ice, snow, and flowing water. Plus, the hover track is so efficient that it can actually travel 25 miles per hour in reverse. To make things easier, instead of having to apply constant pressure on the throttle, these hovercrafts allow the pilot to relax by setting the tension with an adjustable BMW cruise throttle. Now, due to Neoteric’s engineering expertise, the Hover Track is the quietest hovercraft on the market. Which means you won’t be blasting your ear drums sitting in the cockpit, and you won’t be blasting anyone else’s eardrums with you. Now, all this comes with a lifetime guarantee. The engineers at Neoteric stand by their product. And if a customer ever finds a defect or a flaw, the appropriate repairs or replacement will follow. 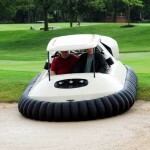 It really is an amazing product and a very cool hovercraft. I suggest you check it out. And while you’re here on our website, go ahead and check out all the other amazing products we have. You’ll be very happy you did. Once again, for ToysForBigBoys.com, my name is Josh, your product specialist. Have a great day.